Netizens have been bashing a man from Libungan, North Cotabato and tagging him as "f**kboy" since his girlfriend exposed what he did. Apparently, the guy, Mark Kevin, has been unfaithful. 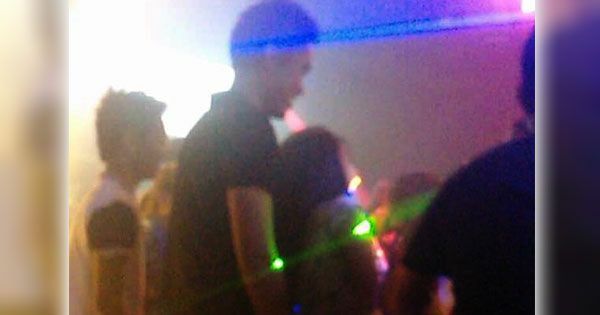 His girlfriend, Ritchel, posted two photos of him dancing (apparently bumping and grinding) with another woman in what appears to be a disco bar. 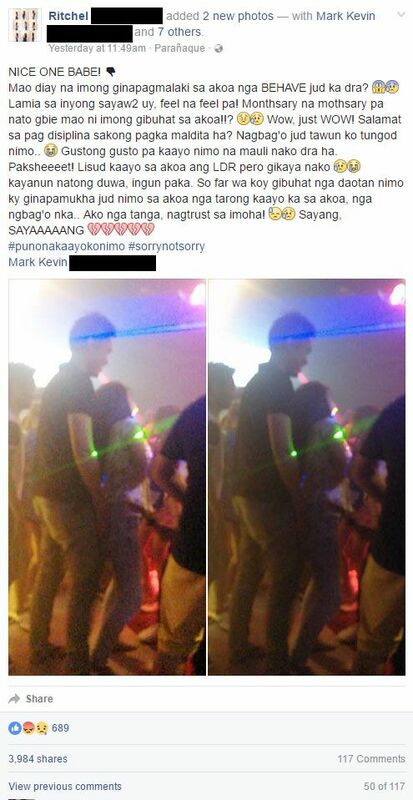 In her caption, she said Mark Kevin went out with someone on the night of their monthsary. Ritchel, who lives and works in Parañaque, said she used to be ill-mannered but changed for him. She was faithful and honest despite the long distance relationship, thinking that Mark would reciprocate. She said her boyfriend, whom she called "Babe," even told her to come home and face life's trials with him. Ritchel trusted him and thought he was a good man... until a friend sent her photos that prove his alleged infidelity. Now, Mark Kevin is suffering the consequences, netizens have been bashing him and calling him "f**kboy," which is defined online as "the worst kind of guy" who is "hungry and desperate for female attention." Was it right for Ritchel to let the whole world know about what's supposed to be kept private? Do you think Mark Kevin deserves all the criticisms from the public? Put your thoughts into words by posting a comment below.